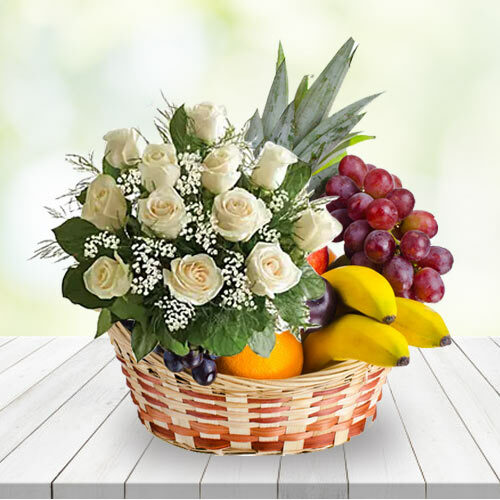 Nothing compares to the happiness of Sending Fresh Fruits Baskets to Bhubaneswar for your loved ones along with premium Rose Bouquet or Seasonal Flowers Basket or Dry Fruit Platter or Haldiram Gulab Jamun or Soan Papdi or Dairy Milk Chocolates, for any festive occasions. 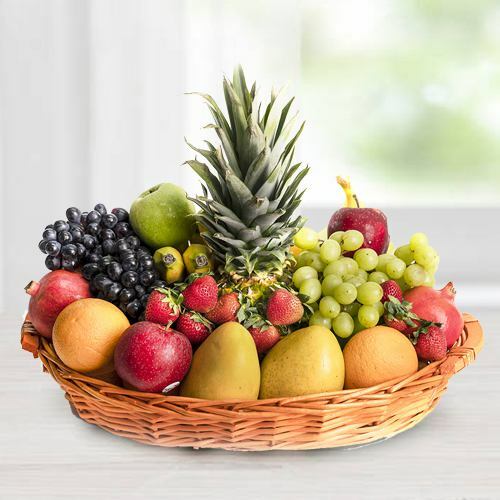 From Birthday wishes to Get Well to Weddings Gifts, everyone who cares about their health and condition will appreciate this gift of Fruits Baskets. 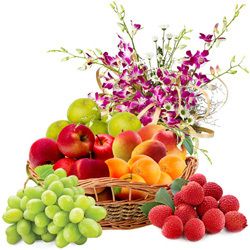 Explore our website where you can conveniently order mouth-watering Fruits according to the taste of the recipient at Low Cost and Send Fresh Fruits Basket to Bhubaneswar Online by using our Quick Delivery service available everywhere say Patia, Nandan Vihar, Bapuji Nagar, Gadeswar, Soubhagya Nagar and such more places of Bhubaneswar. Same Day Delivery and Mid-night Delivery are also possible through us. 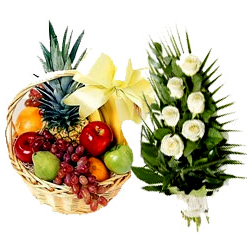 Give a pleasant surprise to your near and dear ones by Sending Fresh Fruits Basket to Bhubaneswar Online. 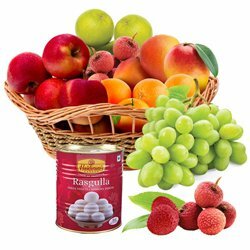 To rekindle any special day we offer you an exotic range of seasonal Fruits like Pears, Litchis, Oranges, Apples, Pomegranate, Strawberry, Pine-Apples, Grapes, Mangos, and Bananas etc. 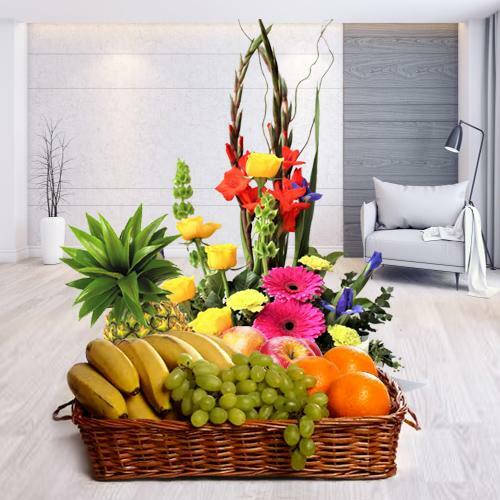 that comes packed in a decorative Basket at a Low Cost. 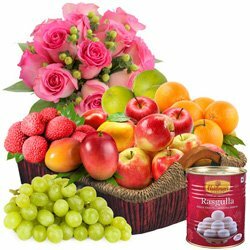 You can easily grab a right kind of Gift by browsing through our website and Send Fresh Fruits Basket to Bhubaneswar Online to someone whom you really care about and love. 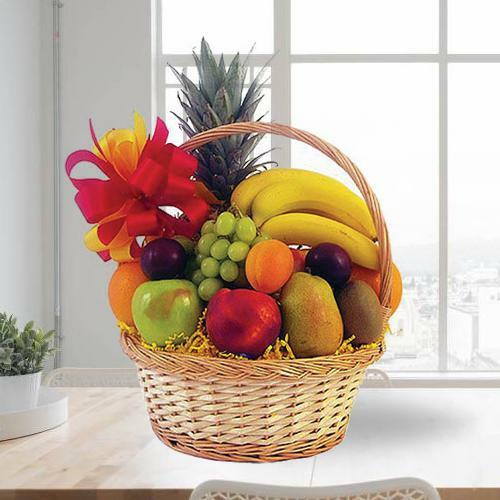 All our Fruits Basket is ready for Quick Delivery at your door step on the same day and midnight right On-time. 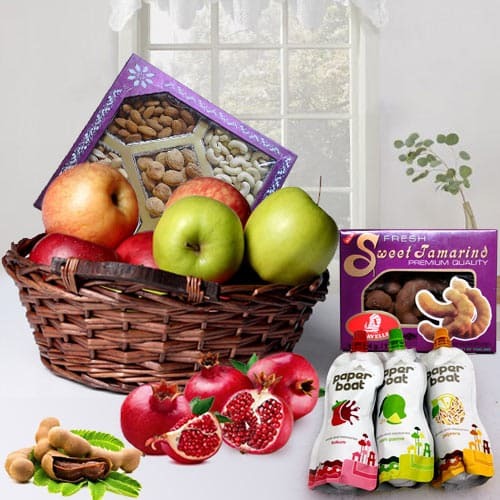 Greet your loved ones on Diwali, Rakhi, Karwa Chouth, Christmas, Mother’s Day, Valentine’s Day or any such occasions by sending Combo Gift of delicious Fresh Fruits along with Red Roses Bunch or scrumptious Heart Shape Chocolate Cake or Dry Fruits Assortments or Ferrero Rocher Chocolates Buky added with a personalized Message Card and so on at Low price. 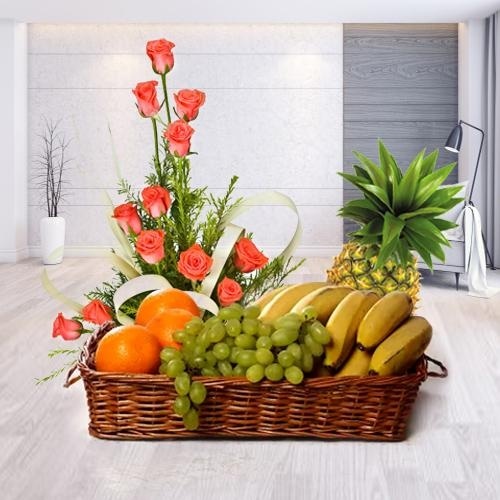 Get Online Delivery of Fresh Fruits in Bhubaneswar which comes carefully packed in designer Basket to express intense love and concern for your loved ones. 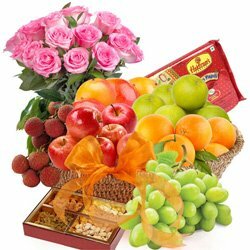 Simply book your choice of Fruits and Gifts Online from our e-shop and we will deliver it at your desired location within just 3-4 hours. 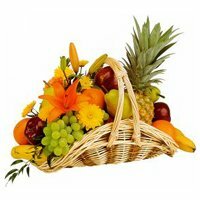 So hurry up and avail Quick Delivery service for Sending Low Cost Fresh Fruits Basket to Bhubaneswar without any hassle. 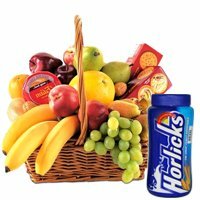 Sending healthy, delicious and mineral rich Fruit Gift is perfect for your health freak friends, family or beloved person whom you care about. 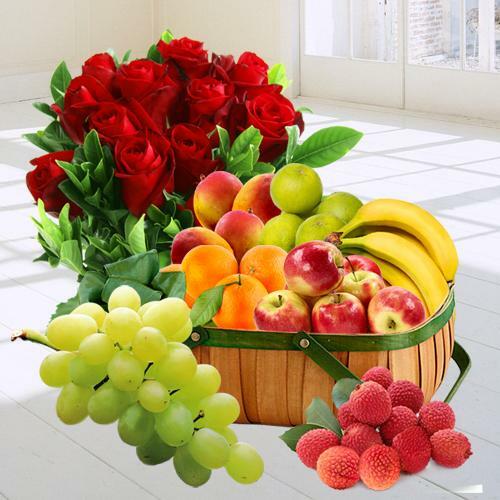 We offer a wide range of mouth-watering Fresh Fruits like Mangos, Bananas, Pears, Litchis, Oranges, Strawberry, Apples in a delightful Basket at Low Price. 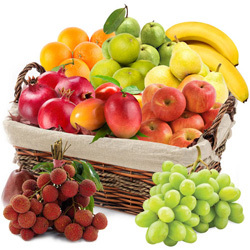 Get hassle Free Quick Delivery of Fresh Fruits to Bhubaneswar right at your doorstep on time. 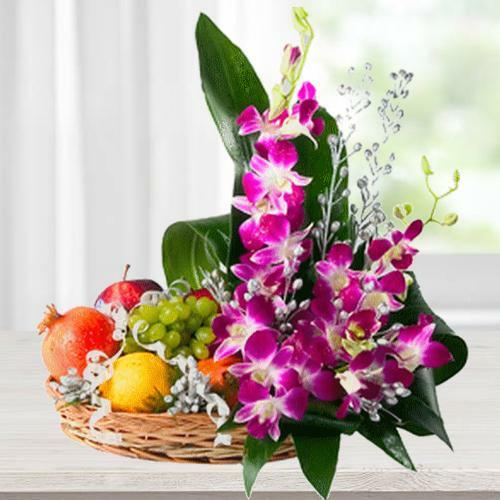 Whether it is Mixed Fruit Basket brimming with a variety of delectable Fruit, or whole Box of Pears, Mangoes, Orange decorated with freshest blooms, our high quality Fresh Fruits Basket is sure to please your loved one on receiving them. 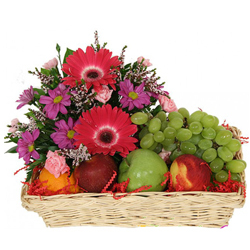 Send Fresh Fruit Basket to Bhubaneswar and get Same Day Delivery with Free Shipping.